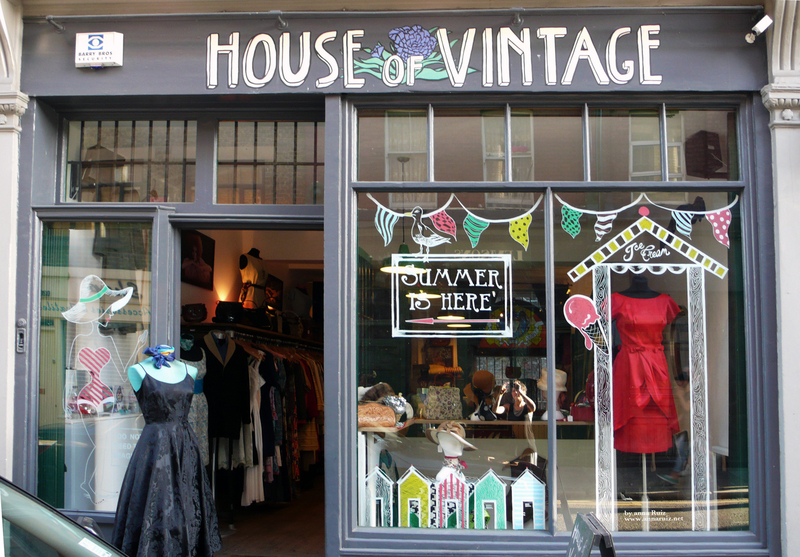 I was very pleased to work on this fun illustration for the House Of Vintage in London. The theme we chose was to go along the newly arrived clothing for the summer. 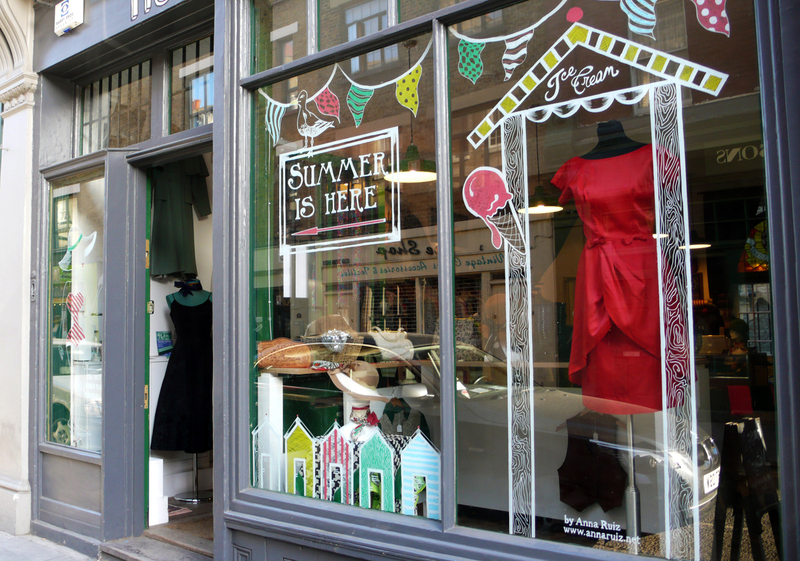 Old summer huts, seagulls and other motifs from the english seaside from the 50s seamed perfect for this window illustration.